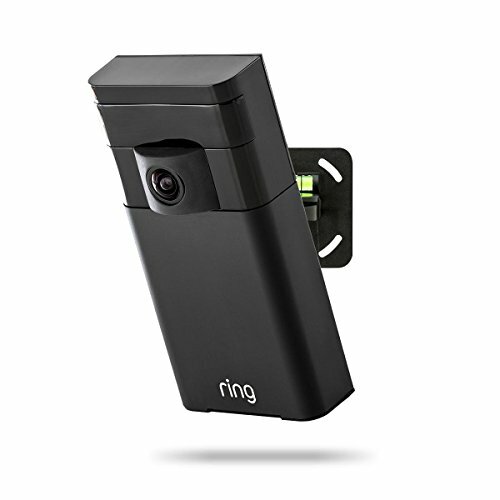 Ring keeps your home secure and your family safe by protecting you against intruders, burglars, package thieves and any other unwanted guests. Ring Stick Up Cam lets you monitor your home from anywhere. Because with Ring, you’re always home. Ring Stick Up Cam is the world’s only wireless outdoor security camera with HD video and two-way audio. It lets you see, hear and speak to anyone at your home from the comfort of your smartphone, tablet or PC. Stick Up Cam comes equipped with Live View, which allows you to check-in on your home at any time and watch video on demand at your convenience, creating an added level of security. And with the optional Cloud Video Recording service, you can review, save and share up to six months of videos captured by Ring. An adjustable mounting bracket allows you to install Stick Up Cam anywhere and get the perfect angle to watch over your home. It's customizable motion sensors send you instant alerts when any motion is detected, and its weatherproof construction and infrared night vision allow you to watch over your home around the clock in any condition—day or night, rain or shine. Stick Up Cam is compatible with the optional Ring Solar Panel. With just a few hours of direct sunlight, Ring Solar Panel will charge your Stick Up Cam throughout the day and night. Connect your Stick Up Cam to your Solar Panel to get non-stop power, and you’ll never have to worry about charging your device. Connects to optional Ring Solar Panel for non-stop power. See, hear and speak to anyone on your property from your smartphone, tablet or PC. Get instant alerts when the built-in motion sensors detect activity at your home. Monitor your home-day or night-with HD video and infrared night vision. Live View enabled: Check-in on your home at any time with video on demand. Easily mounts to any surface with the included tool kit and installation guides. Requires sufficient WiFi signal. See user guide below for easy installation steps.